We’ve developed Self Service Technology around the needs of the independent grocer. After years of focus groups and testing of various solutions, we developed it to be the smartest and simplest self-checkout solution on the market today. Only Pan-Oston’s Self Service Solution works as an application to your POS. What it has done is to decouple your back office data and reporting from your POS, turning self-checkout into a simple and smart function of your operating system. 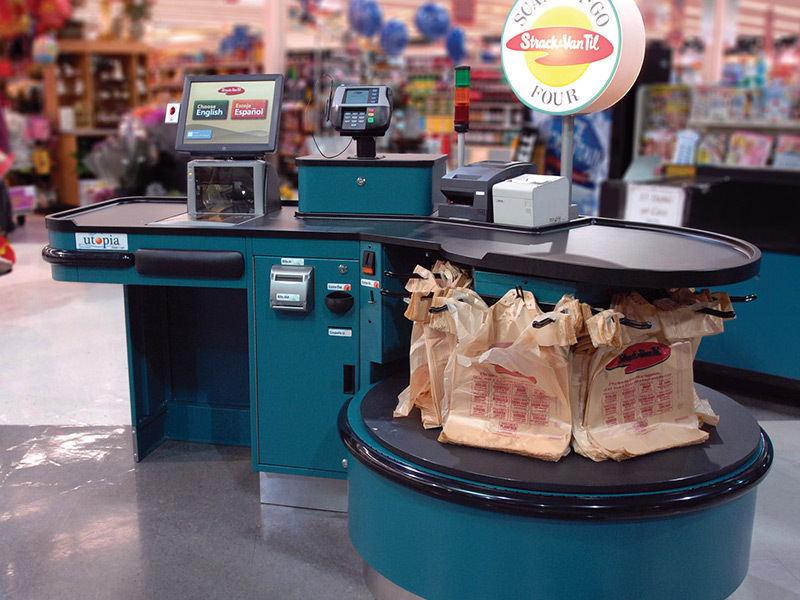 This allows your self-checkout to communicate directly with data from your back office system; the brilliance of this can be seen in reducing the need of POS upgrade integration costs thus allowing you to change POS providers at any time without sacrificing your other software applications, further allowing you to continue to use your existing hardware and peripherals. 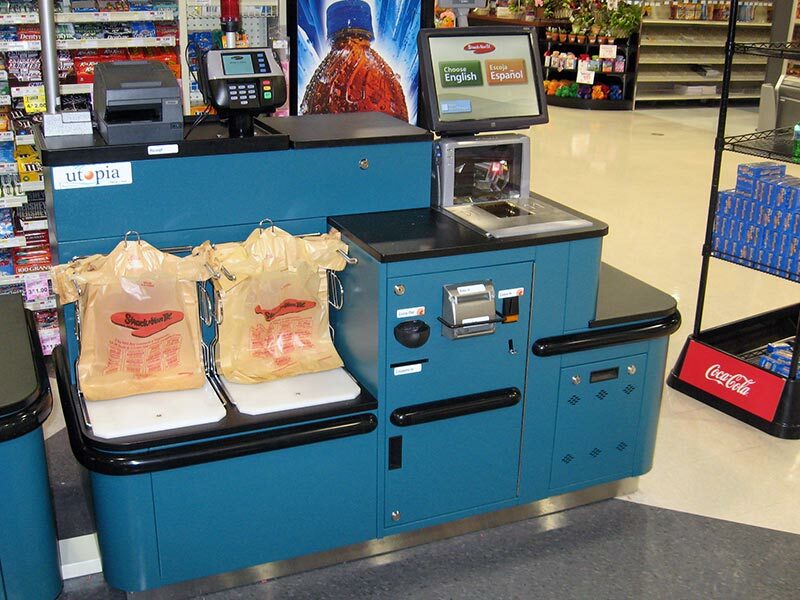 Pan-Oston’s Self Checkout puts you back in control of your store and it’s self-checkout. No longer will you be locked into long-term POS/Self-checkout commitments. 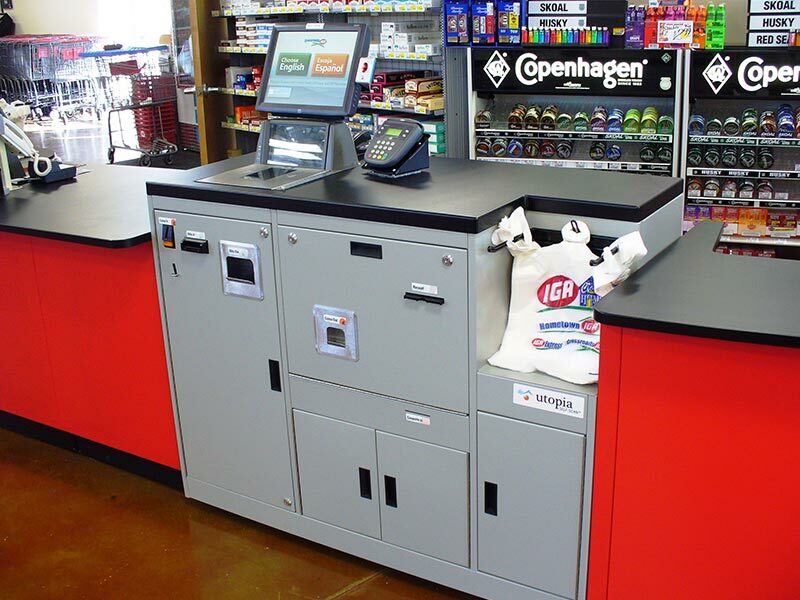 Plus, with Self Service Checkout, even self-checkout systems that have been declared end-of-life by other manufacturers can be saved and updated saving you hundreds of thousands of dollars. With our self-checkout solutions’ exceptional value, and in most cases its ability to re-use your existing hardware peripherals, it’s easy to see how your ROI is measured in a few months and not years. Our manufacturer direct program for N.G.A. independent retailers is backed by industry leading service and support, making Self Service Checkout the ideal solution for any independent grocer. You will truly have full control of your store and not have to worry about the technical details with Self Service Technology in your establishment. You can enjoy Self Service Checkouts without worrying about any long term POS commitments and also be assured of a faster return of on investment since it already skips a couple of steps upon installation by reusing your existing data from your previous self-checkout system. See the difference and experience, the ideal choice in smart self-checkout systems.